Announcement Free Shipping on all orders $50 and up! 15% off select soap dishes right now! Wholesale available - message us! We are sisters and love coming up with new products together! Our goal is to provide our customers with the best quality handcrafted soaps and skin care products. We never use palm oil, are a cruelty free company, and we use organic ingredients whenever possible, in fact, many of our products are 100% organic! We offer both unscented and scented products. All our scented products contain only 100% pure essential oils. For more information on the type of essential oils we use, please read our "about" section at the bottom of this page. We never use any synthetic or chemical fragrances. Free Shipping on all orders $50 and up! 15% off select soap dishes right now! Awesome as usual. I use this in the shower a couple of times a week. Love this stuff for exfoliating. Good service. Well made product. Thanks. We are loving this baking soda FREE Natural Deodorant! Silky smooth chemical free sunscreen! 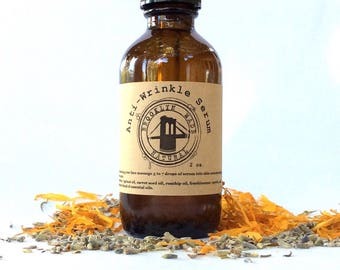 This calendula infused Serum improves skin tone and reduces fine lines and wrinkles. Smells amazing too! Both of us where we grew up - in the Mojave Desert of Southern California. Jennifer now resides back here. Where it all started - our small Brooklyn apartments. Each item is hand made by the two of us. We love using natural products - but it was difficult to find products that are truly natural with only real ingredients that we understood. We wanted only plant oils, herbs, clays and essential oils. No synthetic fragrances, additives or colors. After searching and being disappointed we decided to make what we wanted ourselves! So our soap making was born in our small Brooklyn apartments. Soon we needed shampoo and lip balms and lotion.... also all without any chemicals, preservatives or synthetic ingredients. The results are the products you see in our shop! We both grew up in the Mojave Desert of Southern California and have always had a love for natural herbs and plants. Currently we operate out of both Brooklyn, where Melinda still resides, and the Mojave Desert where Jennifer has recently relocated. We are happy to now be able to incorporate some locally harvested desert plants into our products. The quality of the ingredients that we use is something that we do not take lightly. Our aim is to create high quality, purely natural skin care products. This means we will not accept the use of any sub-par or adulterated oils in our products. Since our products contain essential oils, we took it upon ourselves to do extensive research to find out what to look for and how to determine the purity of an essential oil. We were surprised to learn that “therapeutic grade” actually doesn’t carry much weight. It turns out that there is no standard regulated by any agency that essential oil companies must adhere to in order to label their oils as “therapeutic grade”. We were also surprised to learn that many companies have designed their own certifications to make it appear that they are the best. When in reality, they have simply set their own standard. After much research and testing, we are confident that we are using the best essential oils available. We do not use only one brand or company, but several companies. Any essential oil we use must meet our criteria; which is stated below. 2. We look for and compare the botanical names to be sure that we are getting the actual essential oil. For example, we don’t just look for “eucalyptus”, but the actual botanical name. 3. We take into consideration the part of the plant used in distillation, since this affects the quality of the oil. 4. It must be steam distilled with no solvents used. 5. The company must be open and honest about providing copies of their testing sheets such as GC-MS testing, or other tests. Although we do not consider ourselves experts, we simply want to make known our practice in selecting essential oils for our products. We feel that it is important for a consumer to not only know the ingredients in a product, but the quality of the ingredients. I make products, package and ship them all from our new location in Southern California! Being in the Mojave Desert also gives me access to many wild harvested herbs and plants which we are incorporating into our natural products. I'm still in Brooklyn, our original location - where Jen and I started this together. I market our products, manage social media and take care of other office duties. 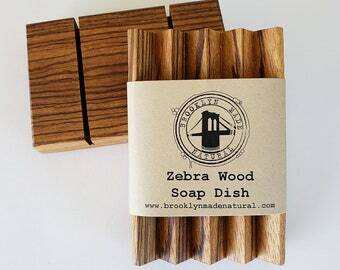 Welcome to Brooklyn Made Natural! Here we share our handmade skincare products. We use only natural ingredients to give you a gentle and effective way to cleanse your hair and skin. Nourishing oils, teas, herbs and minerals leave your skin feeling refreshed! Because of the nature of our product, returns are not accepted. However, it is very important to us that you are happy with your purchase. If you have any questions or problems we would be happy to try to work out a solution. We are happy to offer shipping worldwide! We usually ship within 3-5 business days. Please be aware that international shipments may take a bit longer to receive. Also please be aware of any extra taxes, fees, or customs charges that may be charged in your country for you to receive your package, as you will be responsible for these charges. If you have any questions please feel free to send us a message via Convo. We are happy to have the whole world as our customer and will do all we can to make this an easy, pleasant, worldwide experience! We do not provide personalized notes inside orders. We apologize for any inconvenience.